When it comes time to say “it’s not me, it’s you” to my bank, I want out as quickly —and cheaply — as possible. Closing account fees are not all created equal. For me and my bank, the quickest and cheapest way out was to transfer all of my money to one account online and then visit the branch to wire transfer my $$ to my new bank and cancel my account. 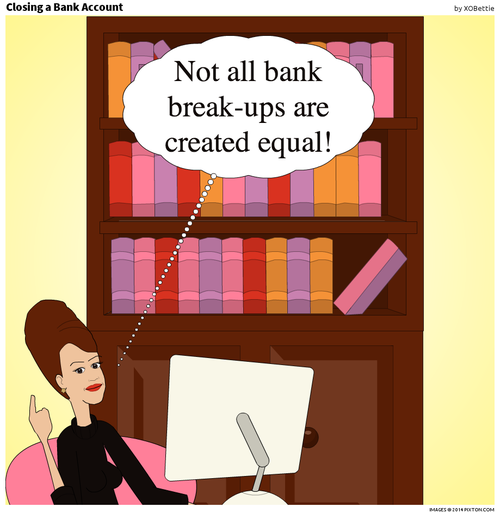 Lesson learned: research all account closing options to before ending banking relationships!